Today's recipe is not a typical Indonesian dish, I got the idea from watching a food channel instead. This is what happen when you watch half dozen episodes of cooking shows after 10 PM instead of going to bed like a responsible adult, you end up wanting to try the recipe you watched for breakfast. 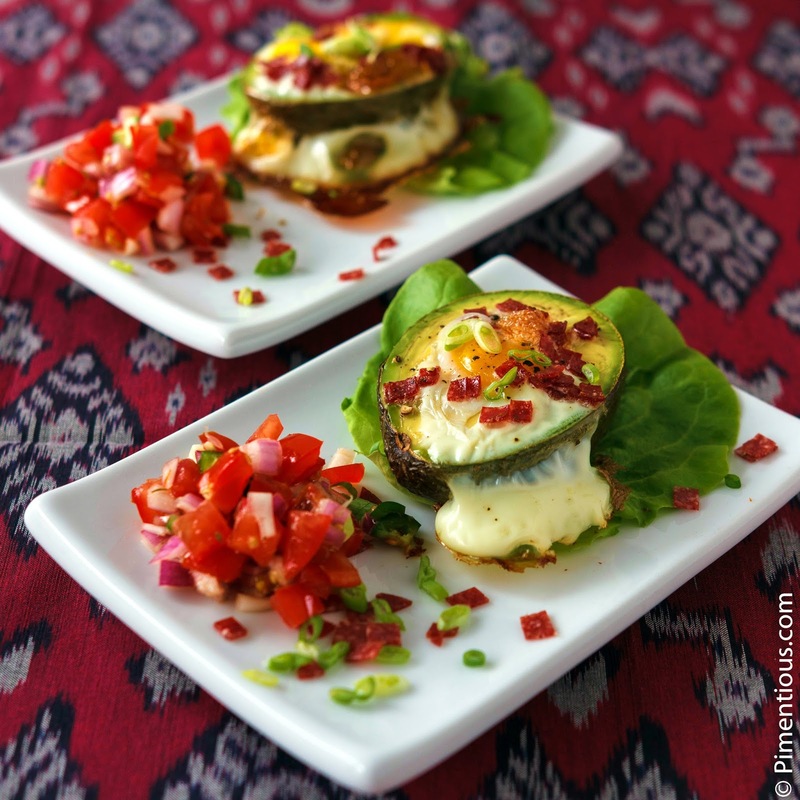 What I love from this recipe is the fact its super easy and it uses avocado. I am a big fan of avocado. My favorite is avocado smoothies, one of classic desserts from my childhood. Only when I started to cook my own meal I eat avocado as an ingredients in meals other than desserts. It took me awhile to adapt to it because somehow avocado has deeply associated with desserts in my mind. Avocado is one of the fruit that you can not judge it from the look of it. I mean, it might look not so appetizing but it can actually be nice and creamy in the inside. Picking the right avocado sometime can be harder than picking a guy to date. Sometimes they look like a promising indulgence but deep down they are full of dark spots and disappointments, just like the bad avocado. However, I have a simple trick to pick the right avocado, all you have to do is to check under the stem (I call it the avocado's bulging belly button). Simply pluck out the stem on top of the avocado, if it comes off easily and you find green underneath with no brown spots, it means you hit the jackpot (ripe and ready to eat avocado). If the avocado is a bit too firm (hard), bury it in uncooked rice for a day or two until it soft enough to your liking. I wish I have tricks to pick the right guy for you, but I am sorry to say that for this matter you are on your own. Sprinkle the scallion before serving. Meanwhile, lets make the salsa! 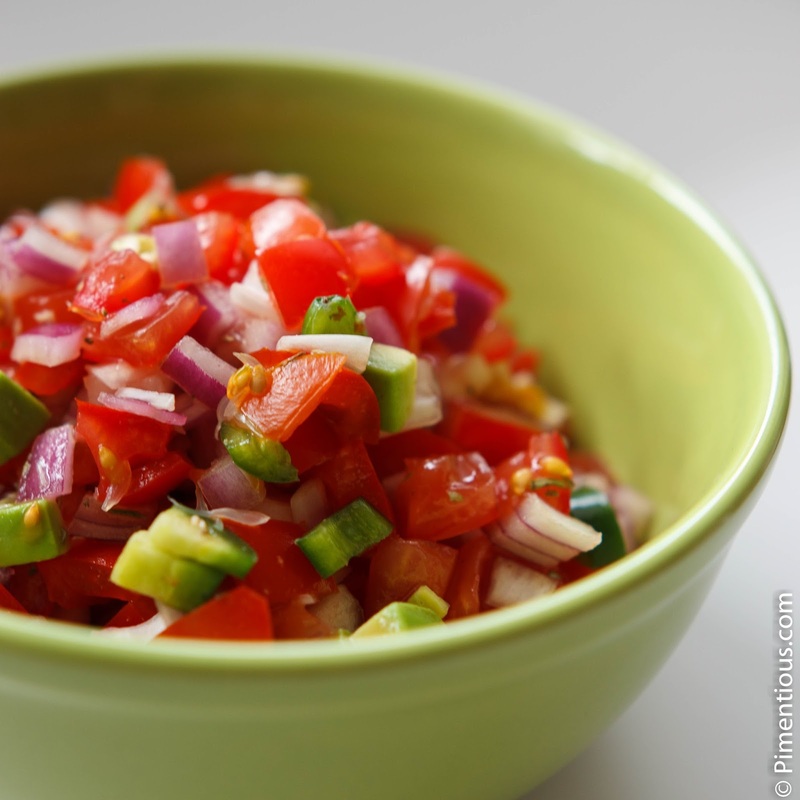 In a big bowl, stir tomatoes, red onion, Jalapenos, lime juice, cumin, oregano, cilantro, salt and pepper. Cover the bowl and put it in the fridge for 30 minutes so all the flavors meld together. 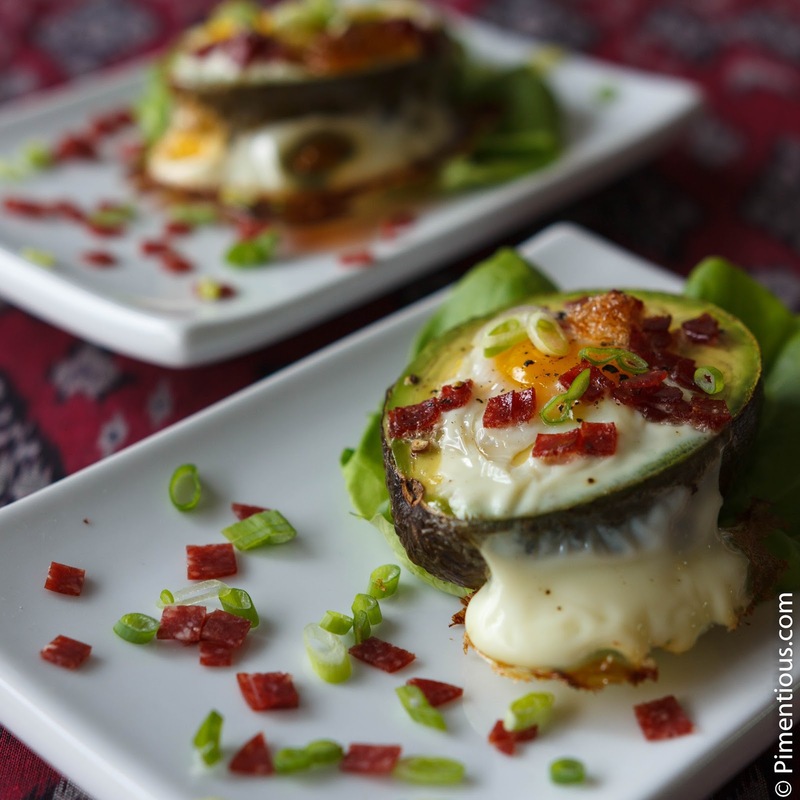 Serve it on the side of the baked egg in avocado.